Joe Stump (born September 18, 1960) is an American guitarist and composer. He is currently playing for the band Exorcism, Raven Lord, HolyHell and his solo project. 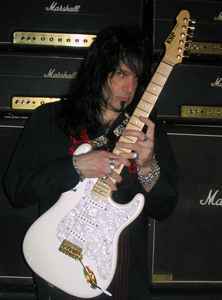 Stump plays in a style original to Yngwie Malmsteen and has released albums with his band, Reign of Terror, as well as with an earlier band from Boston called Trash Broadway, and as a solo artist.